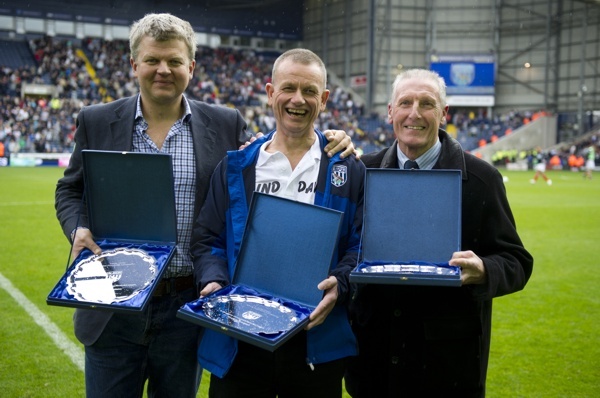 THE ALBION Foundation was delighted to announce at Saturday’s game that Tony ‘Bomber’ Brown and ‘Blind Dave’ Heeley have agreed to join Adrian Chiles in becoming official ambassadors for its charitable work. All three have helped put the Football Club and the town of West Bromwich firmly on the map and, to mark the occasion, they were presented to the crowd during the half-time interval of the derby win against Blues. The trio have pledged to support and promote the Albion Foundation, a registered charity working in partnership with the Club to provide sporting and educational opportunities for the surrounding communities.